The use of color in our everyday language is frequent and even expected in order to accurately describe an emotion or event taking place in our lives. We have all heard of the expressions: green with envy, red with rage, feeling depressed (blue). In the Greek Mysteries, red was taken to signify the 'irrational, where consciousness was enslaved by lust and the passion of lower nature'. In the times of the early Christian Church, red stood for suffering and the death of Christ; yellow/gold signified glory, fruitfulness, goodness; the color green meant youthfulness, fertility, prosperity; violet, sorrow, humility, profound affection. White or silver were the colors of light, purity and innocence and black, of course did not bode well as death, destruction or humiliation were to follow. In the Zuni culture of America, the red feather was associated with death. 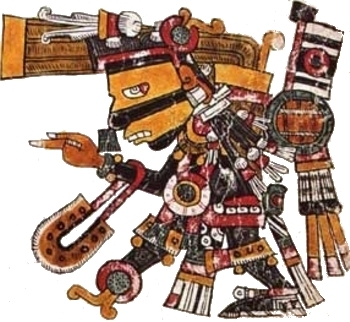 South was created by Tlaloc, the rain god also known as Blue Tezcatlipoca. But it is the color blue that is regarded in almost all faiths as being the ‘closest to God’. The blue skin of Vishnu (Hinduism) is a symbol of the divine. 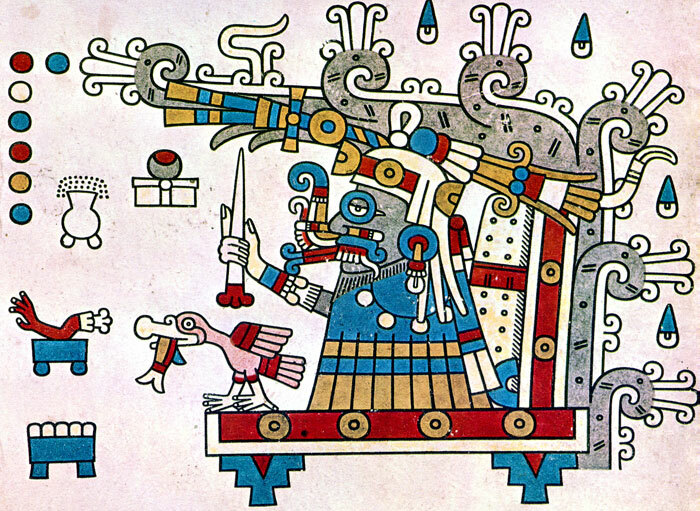 Even in the ‘ancient’ religions, the colors of mankind were blue for the spirit, yellow for the mind and red for the body. These colors corresponded to the blue of heaven, the yellow of the earth and the red of hell. In Esoteric Philosophy, blue was considered the true color of the sun, it's orange-yellow appearance being due to its rays being 'immersed in the illusory substances of our world'. Even in the early Christian Church, blue was of prime importance, signifying godliness, contemplation, the heavenly sphere.